Change is sometimes necessary to bring in something more to what you already have. Learning Management System is one of the technical inventions that was made with an intention to ease out the learning and training process on a large scale. The market has a variety of Learning Management Systems with almost similar features, yet promising a unique and great user experience. Do you find it hard understanding the LMS? Do you feel left out from the rest of world? Do you feel that the users are losing interest due to its visual contents? Do you feel that you do not get proper technical support? 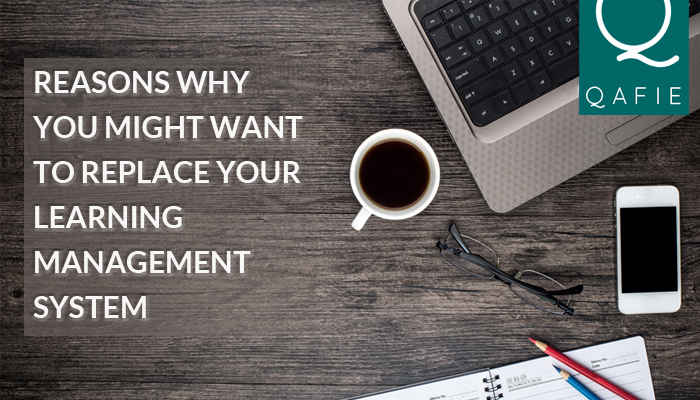 If the answer is 'Yes' to all the above-mentioned questions then it is time to get your LMS replaced. When a relationship is not working then the two people decide to part their ways and look for someone better. Same is the case with an LMS. If you are not happy with your LMS, then it is time for a breakup. Let us look in detail the three main reasons that might compel you to change your current Learning Management System. The world of technology keeps on updating with new inventions, innovations and discoveries taking place with every passing of time. The river does not give the opportunity to touch the same water twice as it keeps on flowing. Same is the case with technology. It keeps on updating with newer versions evading the market promising a great future. If your LMS has become obsolete with the passage of time, it is an alarm for a change. Bugs and software are almost synonymous in nature. If the bugs are detected and timely actions are taken for eliminating them, then there is no issue. But if there is no support from the technical team for fixing of bugs or any support related to maintenance then you need to think about replacing your LMS? What if you want to pursue literature and your parents do not support you in your decision? Well, you will find it extremely difficult to take a decision and go about living a life that your parents are expecting. A good support is like the cushion in our chairs that makes sure that we are comfortable as long as we sit in the chair. If you find that there isn't any adequate technical support from the team then do think of a change. A dashing and dynamic personality gets to hoard the maximum number of admirers as compared to sober or mild personalities. A well built, with a great user interface LMS attracts and holds on the interests of the users. Apart from the aesthetics we even have the user experience that greatly influences the popularity of an LMS. A poor user experience, a disfigured content, all scream for a replacement, which must be immediately attended to. An organization functions aptly with a set of predefined tools and one among them is the Learning Management System. A defect in this tool might affect the working of the organization as a whole. If your car shows some sign of flaws then you are required to either get it repaired or go for a new one. So what are waiting for? If your LMS isn't serving you what you desire, go ahead and get it replaced with an LMS that is as fresh as the dew.